Property inspector comments on cell towers, radiation and exposure limits. Neighbours living in close proximity to a new cell tower alarmed about hazards to health. Should they be? Here’s a case study of an investigation conducted on the Sunshine Coast. Recently a new 45m cellular tower went up in close proximity to our friends’ property and I received an anxious phone call enquiring about the possible health concerns regarding living near this microwave emitting antenna. Although I had always been aware of the risk of microwaves, I had not previously considered the energy of cell tower transmitters. Here is the link to an interactive map of cellular towers in your area. It includes not only the providers (Telus, Rogers, Bell) but also the tower height and frequencies being transmitted. Most readers will be surprised at how many towers surround them. Remember that the total power emitted is sum of power for each frequency and every provider. 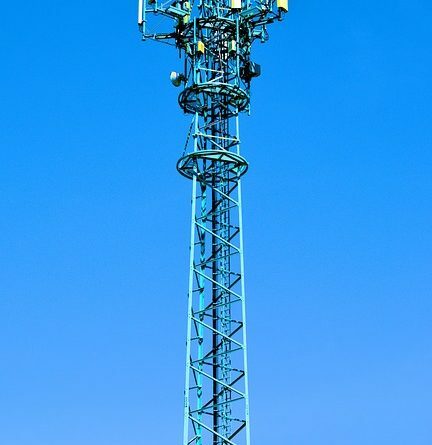 It is possible that one tower may have several providers using the same tall mast. For example, if both Telus and Rogers both have 3 frequencies each on the tower, then the total microwave energy will be equal to the sum of the powers for all 6 signals. Heath Canada publishes the relevant regulations, called Safety Code 6, which specifies the safe exposure limits to radiation emitting devices. For a general overview, check out in particular the FAQs on this website. Canadian and US exposure limits are at the high end, compared to other jurisdictions, which take a more precautionary approach. There are various websites and organizations that take exception to Canada’s safe exposure limits and claim adverse health effects. The onus is on the reader to review the issue and become informed. There are many precautions that can be implemented. Actions may include: keep any wireless router away from your desk or better yet, connect to it directly by a data cable; use your cell phone on speaker more often rather than holding it next to your head for long periods of time; keep a wireless baby monitor away from the crib or don’t use it at all; stand away from a microwave oven when in use. From my personal literature search, the highest risk of exposure is more likely where there is high density of low, mid and high rise condo developments, such as the West End, Coal Harbour, Yaletown, Ambleside, Dunderave or lower Lonsdale. In those areas, antennas may be mounted on an adjacent roof or exterior wall. Where the antenna is at the same elevation for example, as a 4th floor of an apartment and is less than 200m away, then it may be appropriate to investigate this further for your own peace of mind. EKAN Inspection has now added a RF (Radio Frequency) field strength meter to their instruments for use on condo inspections, where appropriate.